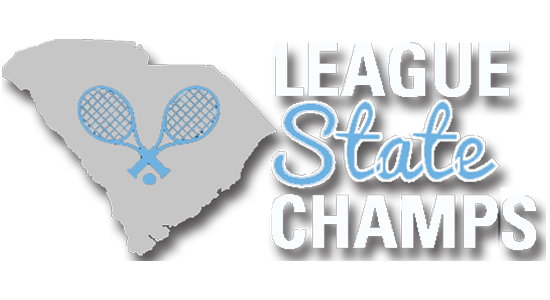 COLUMBIA, S.C. – Nearly 100 junior varsity tennis players and coaches from South Carolina schools will gather for the inaugural Junior Varsity Invitational, presented by the U.S. Tennis Association of South Carolina in conjunction with the South Carolina High School League. The inaugural tennis event will be held October 13th and 14th at the Cayce Tennis and Fitness Center. “USTA South Carolina saw the need for more play opportunities for junior tennis players throughout the state. This invitational gives junior varsity tennis players the chance to represent their school while playing against competition from around the state, and the chance to earn state-wide bragging rights,” said Rashawn Nelson, Tournament Director and USTA SC Junior Team Tennis Manager. “The hope is that it will bring even more junior players into the Junior Team Tennis program, which offers continued play opportunities during the off-season. The field, comprised of public and private schools, includes two teams from sponsor school A.C. Flora; two teams from Bishop England; and teams from Dutch Fork, Lexington, River Bluff, Spartanburg, Southside Christian and Wando. Two five-team divisions will play a round robin within their respective flight, and the division winners will play for the championship title. A sportsmanship award also will be given to players demonstrating exceptional sportsmanship on and off the court. Play is expected to start Saturday, Oct. 13, at 8 am, at the Cayce Tennis Center, located at 1120 Fort Congaree Trail, Cayce, SC 29033. The final match to be held at approximately 2:30 pm Sunday. Follow the action via live feeds and more at sctennis.com/jv. Check in daily at (facebook.com/sctennis), (Twitter @ustasc) and (Instagram @ustasouthcarolina) for tournament action shots. Catch the invitational finals match via live stream Sunday, at approximately 2:30 PM, at facebook.com/sctennis. The USTA program -- Junior Team Tennis -- brings together boys and girls, ages 6 to 18, to play singles, doubles and mixed doubles against other coed teams. JTT is a competitive, level-based environment that promotes individual growth, social growth and life skills. For more information about participating in USTA SC Junior Team Tennis programs, click here. USTA South Carolina is the state branch of the United States Tennis Association and is one of nine states that comprise the USTA Southern Section. A not-for-profit organization with more than 22,000 members, USTA South Carolina offers a variety of tennis programs and services for all ages and abilities to “promote and develop the growth of tennis” across South Carolina. For more information, go to sctennis.com, visit our Facebook page, facebook.com/sctennis, follow us on Twitter, @ustasc, or follow us on Instagram, ustasouthcarolina.